Kirsty Albion is AYCC’s National Director and has been part of the team for over six years. 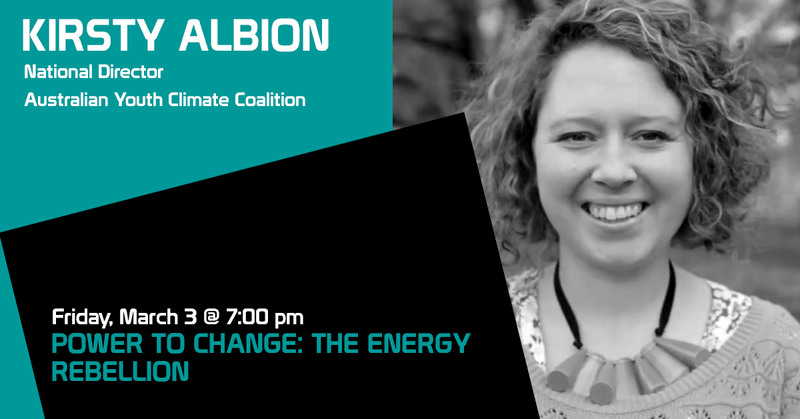 She has led many major campaigns including Meet Your Member where young people met 215 of our Federal politicians, 2010 grassroots election campaign and a 328km Walk for Solar thermal in Port Augusta. She is passionate about empowering young people on the issue of climate change and has run training days for thousands of young people. In 2010 she was awarded Young Tasmanian of the Year and in 2013 with Lucy Manne was awarded Young Environmentalist of the Year.